I am not a Jamberry rep, but my dear friend Jill is and she has gotten me hooked so I wanted to share my experience. It is no secret that I love pretty nails; just look at my Instagram feed!! I love bright colors and funky designs, and love trying to do my own nail art. I love trying new products like nail stickers and wraps and I have tried many options from the drugstore. I like the fact that there was no dry time with the nail wraps, which is great when you are a busy mom. So, when I got the chance to try the Jamberry wraps, I went for it! A few months ago, a friend invited me to a Facebook party for Jamberry Nails. First off, I had no clue what a Facebook party was or how it worked, but figured I would try it out. Second, I wasn't really sure exactly what Jamberry wraps were. I had seen them in a booth at a craft show last year, but I knew little about them. Who am I to pass up a chance to learn about a new nail product and possibly win some to try for myself?! I will have to admit I was skeptical at first, especially when I learned you had to apply them with heat (like a hair dryer). I learned about them at the party and I ended up winning a sheet from the party and signed up to do a Facebook party myself. Jamberry offers hundreds of designs that can be mixed and matched with each other for a truly signature manicure. The picture above is of some of the wraps that I have purchased. They are constantly adding designs and also offer custom made designs, so you should be able to find a style that fits your needs! The wraps last for about two weeks with no chipping like traditional nail polish. They are applied with a hair dryer and nail file and require NO dry time!! You trim them to fit your nail, so they can be applied to any size or shape of nail...including toe nails!! I love all of the funky designs that I would never be able to do myself with polish. Although I love the Jamberry wraps, I am not a 100% convert, yet (Jill is trying!!). The only con I have about this product, is they take me about 30-45 minutes to do a manicure, when I can paint my nails in about 10 mins (though I do have to wait for them to dry, so I guess the time factor is about the same). I do love these and recommend them to everyone who asks about them, when I am wearing them. Hey, maybe I SHOULD be a consultant!! I am still not a pro at applying them and do get a wrinkle in them once in a while, but practice makes perfect! Comment and let me know what you think of Jamberry Nails! If you have not tried them, you can check out Jamberry Jill's site HERE to order your own! You can also find her on Instagram @jillreizen, and be sure to check out the hashtag #jillsjams to see some of the many styles offered...you may even notice some of my nails! Have you ever tried Jamberry? If so, what is your favorite design? Mary! I had no idea you had a blog :) You should get a subscribe button! I'd love to subscribe! I had a recent experience with Jamberry! I LOVE the fun designs, but don't know how much I like the application process. I'm really torn it all! Thank you for this amazing article about Jamberry!! 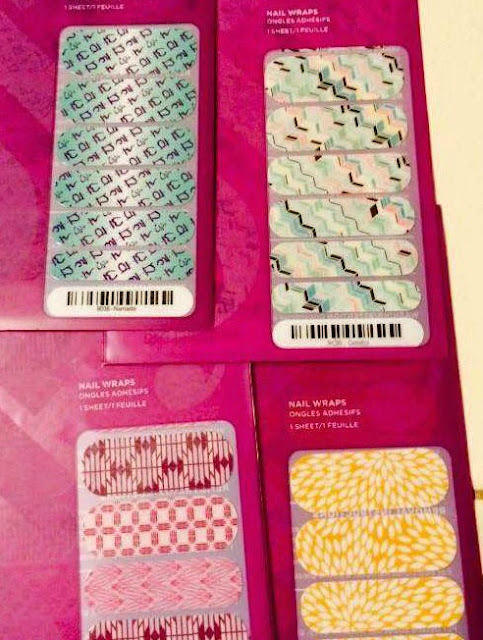 I love your blog and Iike I mentioned before to you i purchase Jamberry nail wraps because of how pretty they looked on you and honestly the samples got me hooked! Thanks for your information on Jamberry nails❤️ Keep it up!! Thank you so much for your comment and for taking the time to read my review! I am glad you like the Jamberry nails and I hope you continue to love them!! !